We specialise in all aspects of graphic design and we have been in the design field for the last 8 years and have seen the industry evolve. Currently our graphic design centres around the following services and these include: Logo design, corporate identity design, advert design, brochures and flyers, pull up banners, emailers and website design. We do not only offer design, but will be able to assist you with all aspects of printing. We will be able to assist you with printing nationwide, so it doesn't matter where you are based in South Africa; we will get your printing to you via our couriers. The need for graphic design has increased over the last couple of years, with more and more people starting up companies and most of the times need everything from logo design to website design. Our client base vary from small entities to larger companies that outsource their workload to us, so please feel free to contact us with your business requirements. We strive to provide the best graphic design and printing service possible and please remember to provide us with any feedback related to our graphic design service. Your logo is the first impression that you make on the public and potential clients. 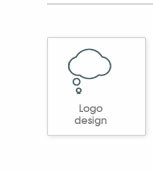 Needless to say, a good logo is a fundamental part of your company profile. A logo is the first step that you as a company take to achieve brand recognition, and is the most prominent visual element that signifies brand identity. Think of it as the face of your business, capable of articulating your personality and providing insight into your unique characteristics and services. Your logo can be one of the most important investments that you make in your business. Customised web development, WordPress development, Joomla development etc. 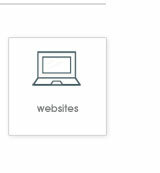 We specialise in website design and we have seen the industry change and grow, and understand the importance of having a website that maximises functionality, while visually representing your brand. In today's business world, not having a website is simply no longer an option. The internet has fast become the first place that your potential clients will look for products, services and advice. A website serves as a direct means of interactive communication with your clients, and your business can really reap the benefits of having a website that works for you!